Aside from Makeup Revolution, one of the other hot new launches I got to preview at the London Drugs Beauty Event (#LDBeauty) a few months ago was Kiss New York Professional Cosmetics. If the logo looks familiar to you, you might recognize it from the company's popular lineup of false nails and false lashes; and now they've released a line of makeup as well! I received a selection of products to play with and decided to create a full face look since I haven't done one in a while. On my eyes, I am wearing the Single Eyeshadow in "Insomnia" which is a shimmery copper shade. Kiss Pro Cosmetics offers a staggering array of single eyeshadows (literally every colour of the rainbow) and I was really impressed with the pigmentation and formula. Next, I used the Top Brow Sculpting Brow Pencil to shape my brows and then filled them in with the Top Brow Fine Precision Brow Pencil. The Fine Precision Brow Pencil is the closest dupe I have found to my fave Anastasia Brow Wiz and at half the price! To add some dimension to my face, I used the Contour Kit in "Light". It features a highlighter, bronzer, and contour shade and also comes with a free brush. This kit is probably a little too light for my summer tan but a great option if you're on the paler side. On my lips, I applied the Moisture Tattoo Lip Stain in "Pink Punk". In the tube it looks like it's going to be creamy so I was surprised once it was finally on. The result is a glossy pout that dries down to a natural-looking pink stain with wear. 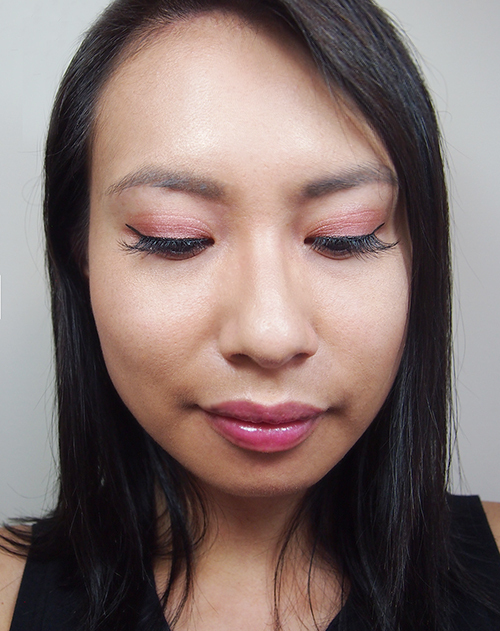 To finish off the look, I decided to experiment with some falsies I received last week at the Kiss Fall/ Holiday 2016 Preview. This Fall, Kiss is launching a line called Natural Flourish Blooming Lash. All the lashes in this collection feature a 3-level variation on a single lash band to mimic the way lashes normally grow and create a more multi-dimensional look from the side when worn. Each package comes with adhesive and they do feel quite light and comfy on. I'm wearing the style "Jasmine." 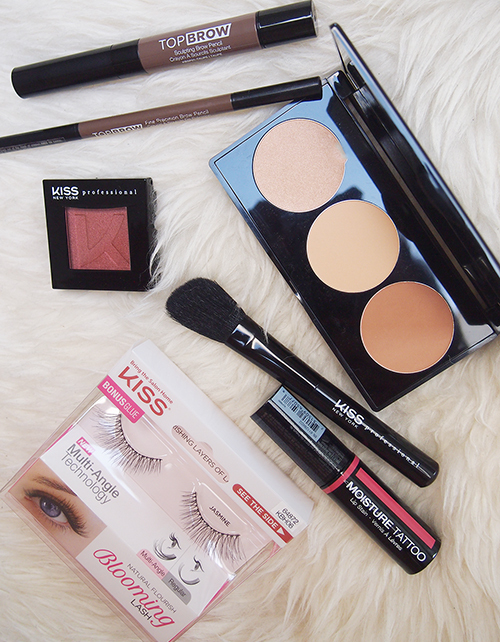 Find Kiss New York Professional Cosmetics at London Drugs. I love the falsies! I got the Camellia ones at the event and I didn't ever want to take them off! These ones are like 3x the length of my lashes... if only mine were naturally so long! Beautiful makeup. Love the lashes, dear. Pretty look! The eyeshadow color would be so perfect for fall! I didn't get to try out any of the Kiss makeup but I remember swatching it at the event and couldn't believe how pigmented it was! Also the lashes look beautiful, Kiss lashes are actually one of my favorites. I love your makeup! Beautiful.